Back in April, the beautiful Novartis team devoted their time and energy to Transplant Australia for their annual community day. We’re glad they chose us, and we’re so grateful for all their help. They helped us reorder and re-organise all the merchandise and materials for Australia’s most inspirational sporting event, the Australian Transplant Games, coming up in Western Sydney in September. 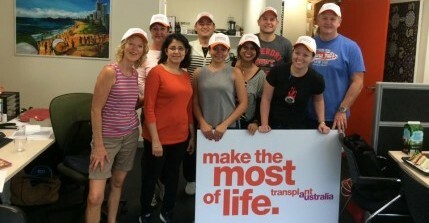 We look forward to seeing the team again in the Dragon Boat Race at the Australian Transplant Games. The challenge is one of the most important features of the Opening Ceremony; a fierce water-race between the states, hospitals and sponsors – bring it on.